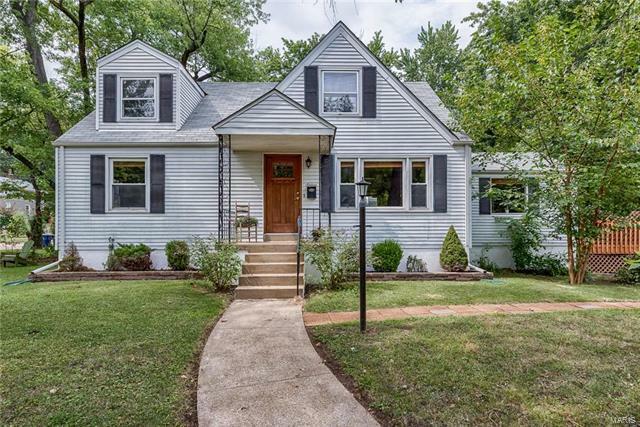 This charming 1.5 story Webster home is bright, updated and ready for you! Enjoy the fabulous renovated kitchen including stainless appliances, solid surface countertops, custom cabinets, and beautiful tile backsplash. Open living and dining areas create great flow for entertaining. Master, full bath and second bedroom complete the main floor. Upstairs you will find two large bedrooms with plenty of closet space. The walk out lower level provides additional finished living space, laundry room and storage. This home is situated on a level lot with fenced yard and lovely deck in a prime location. Walking distance to Old Webster shops & restaurants, easy access to highways,recreation center and a small town feel that offers wonderful community activities.